Ford and VW have detailed their first business partnership as part of a broader corporate alliance Tuesday, outlining plans to produce commercial vans and medium sized pickup trucks together. The partnership will allow the two automakers to cut costs from their commercial vehicle business and boost pre-tax profit margins. In addition to the commercial vehicle partnership, Ford and VW also signed a memorandum of understanding to research and collaborate on autonomous vehicles, connected mobility services, electric vehicles and more. The Ford-VW alliance will be overseen by a joint committee led by Ford CEO Jim Hackett and VW CEO Herbert Diess. High ranking executives from both companies will also sit on the board. Ford will be responsible for developing a new medium-sized pickup and larger commercial vans under the corporate alliance, while VW will work on a small city van. The two automakers will also leverage each other’s various manufacturing bases around the globe to help reduce manufacturing costs. The first vehicle to be born out of this new business partnership will arrive in 2022. Neither Ford nor VW have said which of the three vehicle projects will be first out of the gate. Good points Ryan. IP for sure is going to be contractually limited, but learning best-practices is not always protected as IP. My overriding concern is VW jumpstarts their brand reputation and ability to market pickups – and the future potential to directly target Ford’s big money makers. VW can obviously do this on their own, but timing is key as larger passenger vehicles are in demand right now in the US (e.g. Ford/GM cutting car models from their portfolio). I’m not seeing a huge upside for Ford. Maybe this is the first of other deals to come – time will tell. They left out the part that North America will not see these. The small and medium collaboration in the truck/van field has president for both companies. Ford with Mazda, started when Ford owned a small percentage of Mazda and Volkswagen with Chrysler FIAT and their van. This is a way Ford can sell a few thousand more trucks, the same way that Mazda sells a few thousand more Miatas as FIAT 124 Spiders. 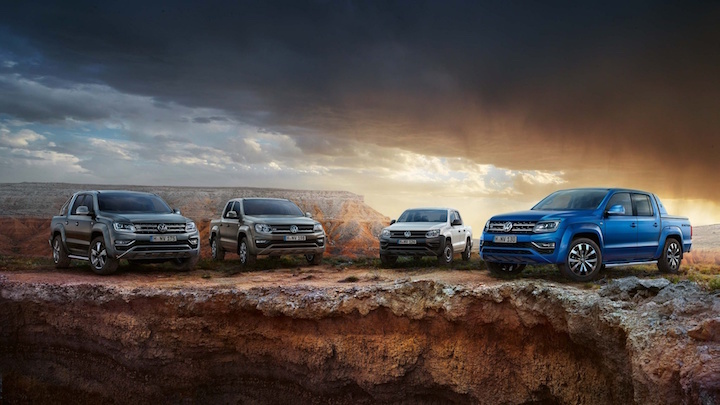 VW would have offered a pickup and larger vans with or without Ford, so why not sell the ” competition “? ford did something similar in the 90’s with Mazda so it’s not a big deal. VW will get a lot out of this deal and it might help them overcome their emissions issues with their diesels. Also, it could be a strategic move where ford can finally dump all of their FWD platforms to make room for more vehicles on the CD6 platform and other modular platforms.